the Director of the UIC Center for Literacy. 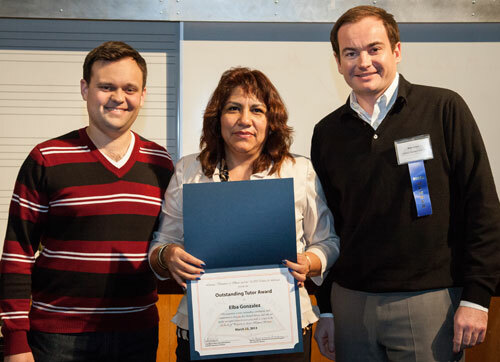 Elba Gonzalez, a tutor for the LEAF Program at Asian Human Services, located at 4753 N Broadway, and Georgian Hadley, a tutor for the Ebenezer Lutheran Tutoring Program, located at 1650 W Foster, were honored with Outstanding Tutor awards on March 23, 2013 at the annual On the Road to Literacy Conference. 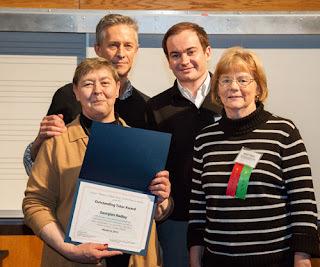 The awards were made by Literacy Volunteers of Illinois and the University of Illinois at Chicago’s Center for Literacy. Literacy Volunteers of Illinois (LVI) is an organization that is committed to developing and supporting volunteer literacy programs that help adults, families, and out of school teens increase their literacy skills. To learn how to become involved with literacy in your area as a tutor or a student, call 312-857-1582 or visit www.lvillinois.org. Congratulations to each of the honorees, and to all the volunteers who give freely of their time making Uptown better.